We see your future as our greatest event. Our Technicians enjoy the opportunities to work with innovative and cutting-edge technology on a daily basis. 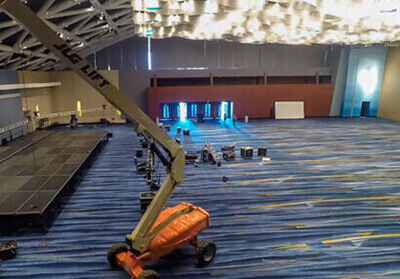 From setting equipment as elaborate as an LED wall to simply ensuring cable is properly run through the venue, our Technicians are the foundation of the events we build and bring to life. They ensure that each event is flawlessly executed, and work with the rest of the team to setup and strike down each event in a timely manner. At PSAV, customer satisfaction is our highest priority, our Technicians play an integral part in establishing a positive relationship with each of our clients. The ability to put on the big shows that my hotel plans out or to teach the incoming technicians how to make these shows happen is why I really like the hustle and bustle of my day-to-day as a Technical Lead. Deliver world-class service. See the big picture. Value people. Drive results. Do the right thing. *Benefits eligibility varies upon position and/or full/part time status. A Technician is responsible for the set up and operation of basic / small-scale audiovisual systems in a hospitality environment while ensuring complete customer satisfaction. This position reports to an Operations Manager, Operations Director or Director, Event Technology. 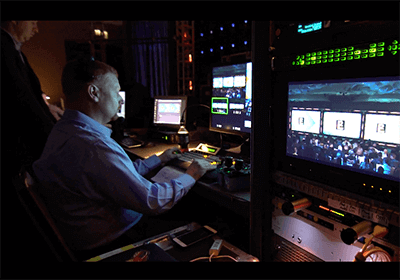 Ensures a flawlessly executed event through accurate and timely setup, operation, and breakdown of basic audiovisual equipment as listed in the technical qualifications section. Strives to exceed the expectations and needs of internal and external customers. Maintains a positive relationship with all clients through effective communication. Meets with guests on site to ensure that their needs are met and the equipment setup is working properly. Monitors events and checks in on customers throughout the day. Understands and fosters the hotel/client relationship. Understands the technical aspects of the job and demonstrates basic operational ability to troubleshoot and problem solve with equipment and software issues. Handles equipment challenges and changes in a timely and professional manner. Understands company processes, follows procedures and completes systems entry and paperwork accurately. Uses the equipment sheets to determine the equipment scheduled for set up and for strike. Interacts with other staff and outside vendors for equipment. Increases revenue by utilizing floor up-selling techniques. Works with clients to finalize invoices. Completes order entries in Navigator, as needed. High School Diploma required. Associate’s degree is preferred. 1 year of customer service or hospitality experience is preferred. 1 year of audio visual experience or equivalent in educational environment is preferred. A valid driver’s license is required for team members that may operate Company vehicles. Additional DOT requirement may need to be met if applicable.